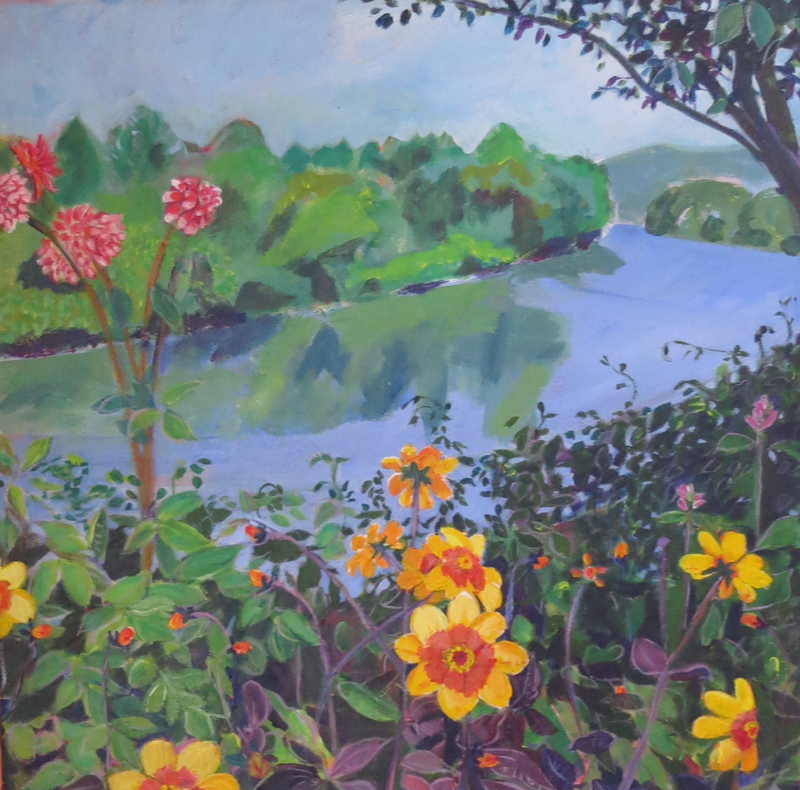 Experience the colorful paintings of Sawmill River Arts Gallery member Kerry Stone at the exhibit, “Garden Reverie,” through April 28 at Salmon Falls Artisans Showroom in Shelburne Falls. There will be an Opening Reception March 22 from 2 to 4 p.m., featuring the local acoustic duo “Fire Pond,” and the work of three additional artists in sculpture, stone bird baths and pastels. Painting by Kerry Stone.